The eclectic indie rock band’s third album is a reinvention. And it’s unreal. The first line sang by Taylor Rice to open Local Natives’ most recent album provides the best summation of the SoCal band’s hopes for Sunlit Youth. After years spent developing a specific (and groundbreaking) sound, they committed themselves to smashing conventions with their new album. “There’s an idea at this point of what a Local Natives song is,” Rice says. “We’d only had two records out heading in to record this one, but we’d been playing together forever. There’s a specific way we write music. I love my bandmates and we know each other so well. I mean there’s such a strong musical connection and so much unsaid where we can just feel where the other person is going. It’s a bit of a risky proposition for a band still on the front end of their arc. Eight years have passed since Gorilla Manor debuted to great acclaim and the band became a buzz-worthy sensation after their breakout performance at Austin’s South by Southwest festival in 2009. By year’s end, Gorilla Manor was featured on almost every “best of” list, and Local Natives began to discover the demands of a global tour. The momentum from Gorilla Manor bled straight into the demands for Hummingbird, says Rice. There was little chance for the band to stop and reflect on where they had been or where they were going. Tours with The National and Edward Sharpe and the Magnetic Zeroes gave way to headlining offers all around the world. Local Natives did what so few bands experience these days. They truly broke through. When it finally came time for album No. 3, however, Rice says the band looked up and noticed that years had passed. In the process, they’d earned the chance to not only take a break, but to potentially change things up. Success had come and, with it, the ability to call their own shots. 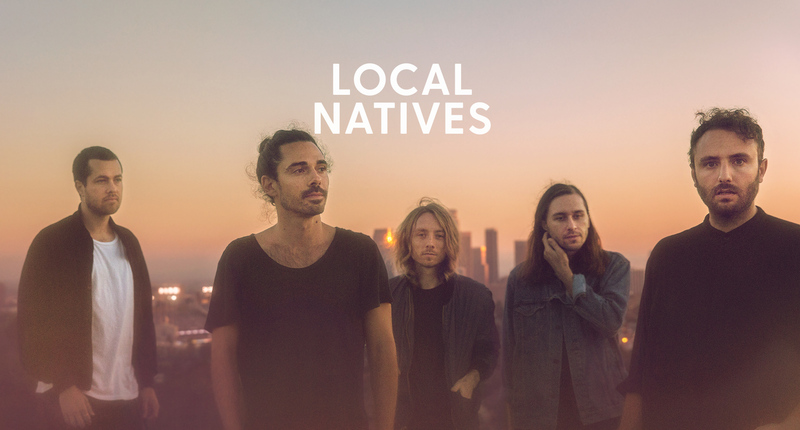 Given the chance, they decided to reinvent what it means to be Local Natives—a risky move for a band still forming their platform and solidifying a fan base. “We found ourselves back home after touring essentially six years straight,” Rice says. “We toured Gorilla Manor forever and went right into Hummingbird and toured that one forever. This was our first moment to take stock of where we were in our lives. We found ourselves feeling like the future was bright and limitless. We didn’t have to follow any rules or fit in any boxes or worry about a certain fit as a band. Sunlit Youth is about the same length as its predecessors at 12 tracks, but Rice says the process to get there was completely foreign. The band wrote 50 songs for the record, whereas they usually only write 16 or so. The cutting room floor was littered with unused work, bits of experimentation and exploration that will either be scrapped completely or saved for later. But Rice says it was a joy. Not only did the band—which includes vocalist-keyboardist Kelcey Ayer, drummer Matt Frazier, bassist Nik Ewing and vocalist-guitarist Ryan Hahn—shift their musical approach, but Rice said they switched their lyrical emphasis as well. Rice, Ayer and Hahn share songwriting duties within the band, and this time they allowed the lyrics to come before the music—the opposite approach of their previous albums. The lyrical focus on Sunlit Youth allowed the album to feel “more cohesive,” Rice says. 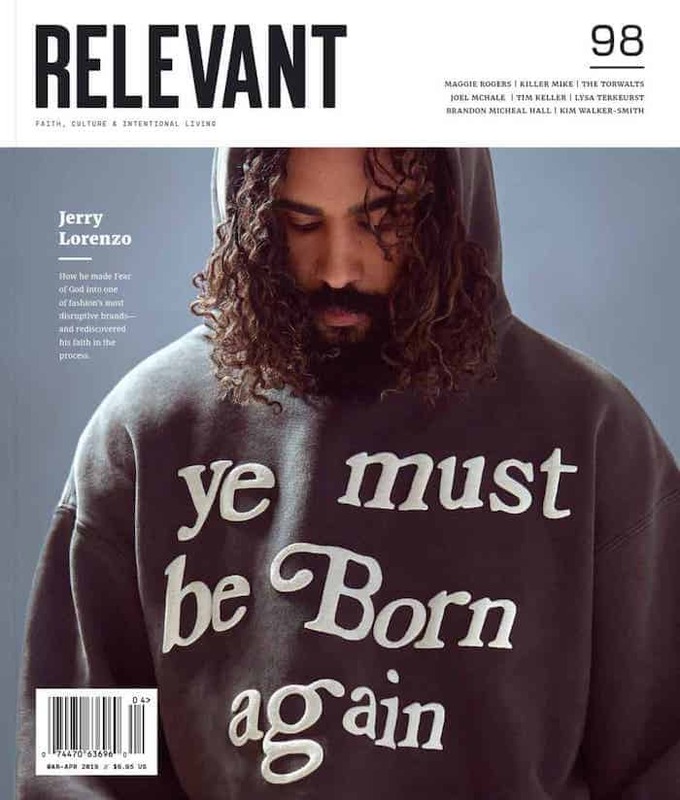 One example from the album is “Fountain of Youth,” a song that challenges societal norms. The song asks, “Why do things have to be the way they are? Is it just because they’ve always been this way?” The questioning of those things is how progress comes in every generation. It’s also a song that came in a matter of minutes. “If you read about songwriters, there’s a common feeling where you have the song just channeling through you all of a sudden,” explains Rice. Sunlit Youth looks back at youth, but that’s not what it’s about: Ultimately, and this is what Rice describes, it’s about reinvention.